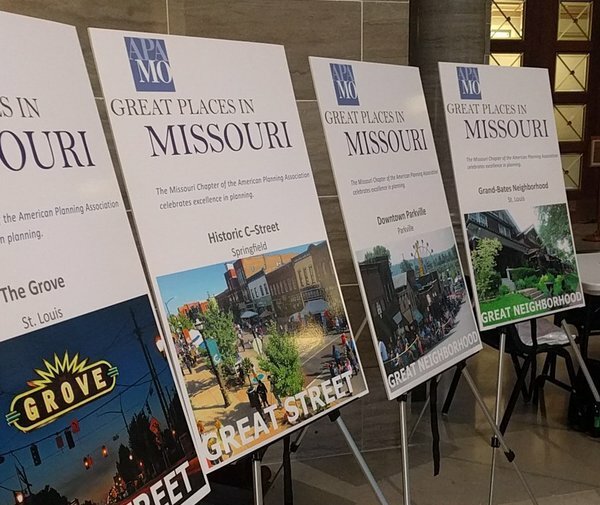 The mission of APA Missouri is to advocate for the value of planning and to support planners and future planners through professional development and education in order to create great places. The "Show Me State" has a lot to offer planners. Learn about APA Missouri and the work we do to support planners and planning. APA Missouri Sections are a great resource for our members, and offer opportunities for networking and education. Members can learn here about the mission and vision of our organization, and about the leadership and business of APA Missouri, including rosters, bylaws, background information and the latest meeting minutes and agendas. APA Missouri consists of three sections: St. Louis Metro, Kansas City Metro, and Ozark Mountain. If you have an APA Missouri membership, then you have a section membership automatically. Click here to learn all about them.